'BEST location in Hampton Roads' abundant local history. 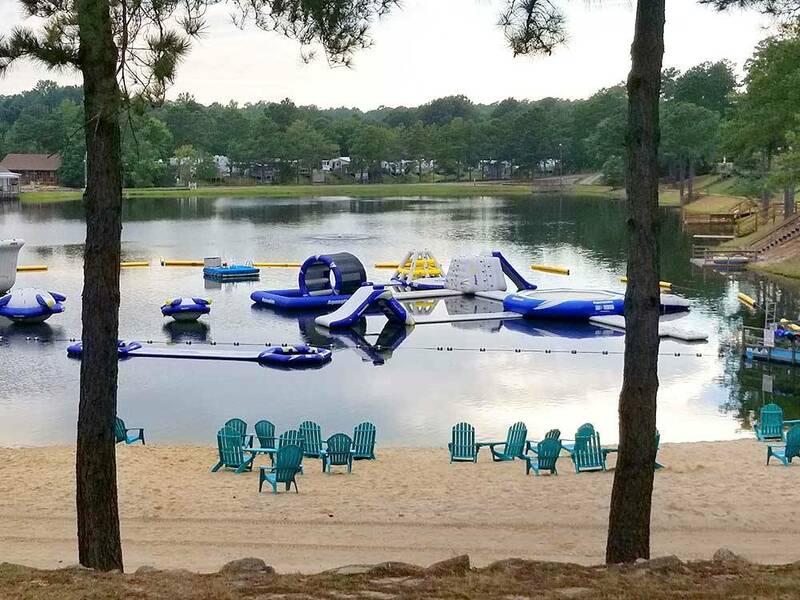 3 swim lakes with the only IN water playground in the state. A perfect stop-over on your way thru or stay longer in our exceptional vacation paradise. Groups Welcome. Beautiful campground. Like being on a little beach. 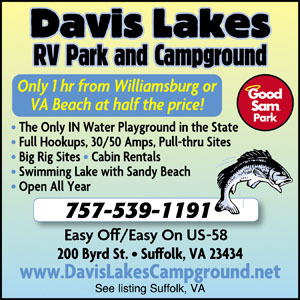 Nice cabins and facilities for paring your RV. Another plus facility is close to the city. Would love to give this facility an excellent rating, but can not because of the restrooms. Restroom were clean but for some reason they had Hot Air blowing in, making the restroom like a Sauna. On a hot day, this was not good. A great place to be in a group or alone. Great staff,peaceful and people keep to them selves but yet friendly. Warm water with a clean sandy shoreline. I went for only one night ended up staying a week.